Last week, I sat down with Falco Maton of Paradox Praductions for a short interview. We talked about the Playtime series, the world of Machinima, and other Halo related stuff. Check it out! 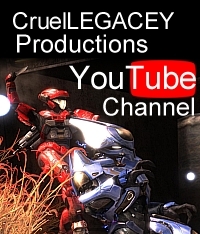 This entry was posted in halo reach, Video and tagged cruellegacey, machinima, playtime. Bookmark the permalink. Great interview! It was a great video, and can’t wait to see more from Paradox Productions.